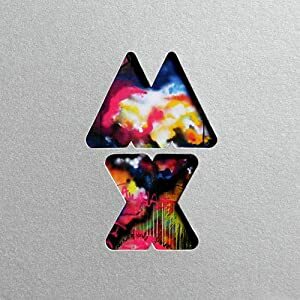 Mylo Xyloto's strong start and finish provide enough of what casual listenerss expect from a Coldplay album. I should say from the outset of this review I am a casual listener. I locked into them with the single "Yellow" but I havent' acquired any of the the other albums until this one. I have listened to several other singles and generally like most of what Coldplay does. I have expectations with Coldplay: heavy piano/keyboard riffs, Chris Martin's vulnerable yet earnest vocals, soaring guitar melodies that fall somewhere between George Harrison and U2's The Edge, and lots of cymbals in the percussion. Well, Mylo Xyloto delivers all of that over the 11 songs and 3 instrumental tracks. For me, the album can be divided into three movements. The first seven tracks are the first movement, tracks 8-10 are the second, and tracks 11-14 are the third movement. The bookends are by far the strongest parts of the record. 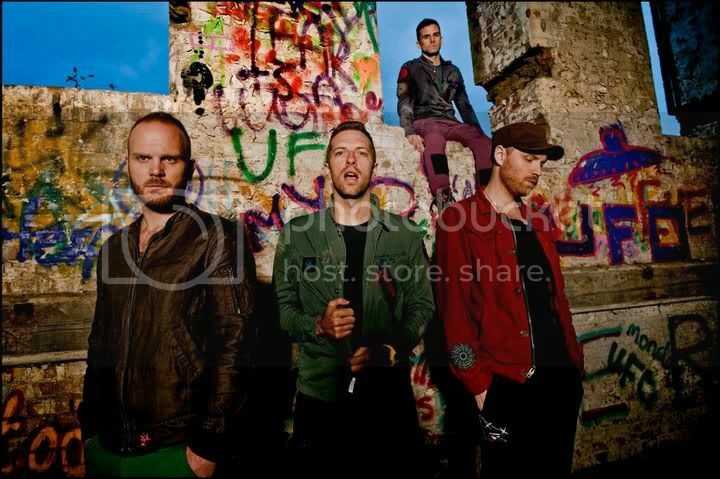 The opening of "Mylo Xyloto"/"Hurts Like Heaven", "Paradise", and "Charlie Brown" are a near 10 minutes of sonic perfection spanning the entire variety of styles Coldplay dabbles in on a regular basis. There's a soaring pop song, a somber almost dubstep opus, and an upbeat U2-esque foot-stomper respectively. After an acoustic ballad, Coldplay launches into the lynchpin song of the album and the one containing what I believe to its central theme. There’s a line in The best way to describe this album comes from two lines in the sixth track "Every Teardrop Is a Waterfall: "I'd rather be a comma, than a full stop." That’s exactly what this album feels and sounds like in my ears and head. A break. A break from the issues that plague us all whether it be financial woes, job frustrations, relationship problems, political concerns, you name it. The bouncing melodies, the thumping upbeat rhythms, and even the lyrics lead this stop and smell the roses parade. It’s also after this song that the album dives into its second and, I’d argue, weakest movement. “Major Minus” and “U.F.O.” are okay songs; nothing really to write about from my perspective. But the tenth track, “Princess of China” featuring Rhianna, is incredibly grating and seems off in the grand scheme of the album. It’s not that the production is bad or that the song seems off; it sounds like what you’d get when Coldplay and Rhianna collaborate in a studio. I’m just not sure it’s worth it. This comes off like something Owl City should be doing and not Coldplay. Ultimately, it leaves a bad taste in my mouth and were this 1986 when every album had 10 tracks it seemed, it would be a bad way to end the otherwise pleasing effort. Thankfully, the third and final movement of Mylo Xyloto quickly whisks away my ill feelings and brings me back to that break mentality I mentioned earlier. “Up in Flames” is tragic, melodically haunting, and a great segue for the end of the album. Among its influences, I hear a good dose of Ryan Adams style heartbreak which fits singer Chris Martin’s high and soaring vocals well. Cascading to another musical interlude – the third on the record – and then into another soaring tune, “Don’t Let It Break Your Heart” and the understated and wonderful “Up with the Birds” which sounds like two songs written while watching the film Inception for 24 hours straight. It leaves the album on a major lift and is quite satisfying. So, how does this all stack up in total? For the casual Coldplay listener, there’s plenty of what we like here. For the more serious fans, I’m sure there’s even more subtext to explore. Overall, though, this little “comma” of a record has high replay value. In fact, I don’t think you can really get or appreciate this thing with just a couple casual spins. As of this writing, I've gone through it completely more than 10 times with several single track repeats outside of the context listening and I still don't get all of it. And that's the beauty in it. Like a good film you visit often, there's something new to glean here with each relisten.